On behalf of the California Rice Commission Board of Directors, let me thank you for the outstanding job facilitating our 5–year strategic planning process. The plan was adopted by unanimous consent! We are now well along the way implementing our strategic initiatives. There are a number of items that stand out during our collaborative nine–month process. First, was your ability to generate input from our industry and the experts that assisted us in identifying key trends impacting California rice. Everyone was heard and all had the opportunity for input. Second, was your skill in getting the industry to focus on the key issues that were critical, rather than all of the issues raised. The result of these two key elements was the inclusive process we desired and the critical strategic focus we needed. I also want to thank you for the great service and client attention. Both were remarkable. In an era of phone conferences and emails, you took the time to meet and understand the California rice industry. Larry got us to a place we couldn’t get to on our own. We were struggling with shared vision…he got us on the same page. Could not have moved forward without Larry’s guidance/path-finding. Larry was able to get me to understand the staff perspective. The number of touches he has had on organizations – his breadth – is very helpful. Larry is thoughtful, could understand the outcome that was needed. Larry is consistently the same guy. He’s well organized and brings insights into areas people don‘t pay attention to. He has an extremely broad knowledge base…and can see from the 33,000 foot level…not everyone has this. He has knowledge about large companies and unique issues/problems. Larry is very valuable to me because of what I realize I don’t know. He has influenced our culture and direction that’s resulted in growth for us. Through Larry we have decision-making tools. He breaks through the dynamic of our eclectic and strong willed board very well and is part of our foundation as a company. He wants to impact the effectiveness of education. Larry doesn’t shape, he empowers. He has natural instincts about business and provides an invaluable perspective. CEO, Innovative Education Management, Inc.
Larry gave us direction and process. He helped us to define our most critical roles, put together all of our thoughts, and come out with clear definitions. Larry saved me a year’s salary with his knowledge, honesty, tools, and frank comments! It was a wonderful experience. I have changed my focus from fixing problems as they occur to thinking strategically, what is the best way to accomplish mid and long-term goals. I am also able to delegate work to others, setting expectations as to what I need to have done, by what time. In just two brief sessions with Beyond Point B, my vision for our company became crystal clear, a clarity I hadn't achieved in months of thinking on my own. I would definitely recommend their workshops; they're well worth your time. 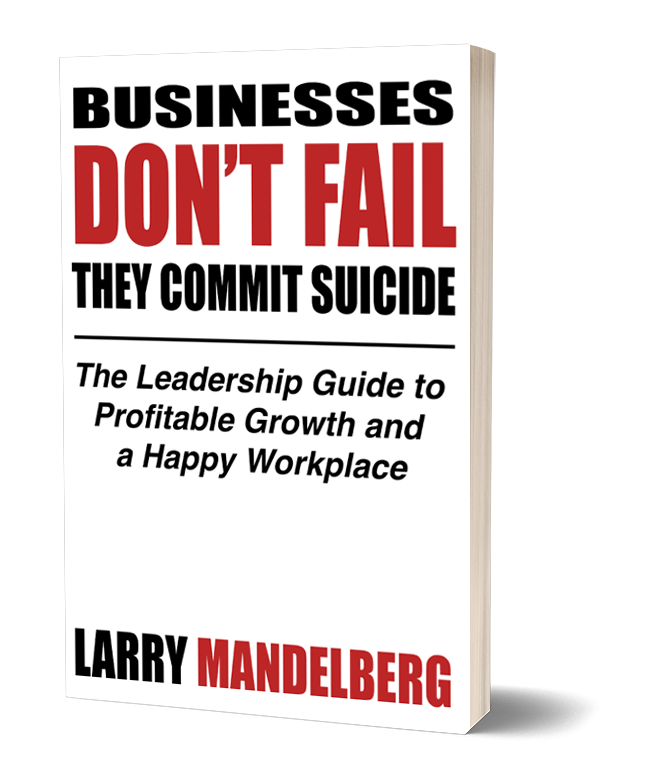 Larry holds a unique skill of helping others identify their weaknesses and, more importantly, assists his students/clients in building an arsenal of tools to break free from the hold these past issues have on their ability to function successfully in society. I think he is especially effective with professional service firm professionals who have a difficult time admitting that they might not be perfect. Not only did they provide us with a hands on tool to help our business customers evaluate their practices, but they walked our staff through the applying of the results. The response from our business community has been very positive. Our number of business customers has increased consistently since the training. Our program is well on its' way to providing the most extensive menu of quality business services in California. Beyond Point B has been a critical part of our Business Services plan. I highly recommend BPB to anyone that is looking for an edge. (Larry) helped us to focus on some area's of our organization that we have taken for granted, and realized that we need to push our Vision and Mission Statements lower down in the organization. The sessions definitely provoke your thinking. CFO, Crossroads Diversified Services, Inc.
Larry is a game changer, uncommonly good at bringing us to where we intended but didn’t know how. He is, of 10 or 12 consultants I’ve worked with, at the very top. I didn’t have to spend weeks in a conference room to get us where we needed to go. He gets people to focus on the right things, very good at reading people and able to join the conversation in a transparent way, and does not impose his thoughts, he allows people to be who they are and is excellent at drawing everything to an actionable conclusion. He created a “fantastic” communications process for our organization and members. Larry literally created relationships where there were none…a very difficult task. Larry is very analytical and structured, yet synthesizes language to a common communication. Managers are standing in line to have him. Every time I turn around, Larry has something new for me. Larry is not intimidated by titles… he’s as frank with the higher ups as he is with the team. Larry brings humanity to the job. He gives you his past, present and future. Larry has my back at all times. Larry is an integral part of our team. Larry is a generalist and a specialist at the same time. He has a work ethic and tenacity like no one else…very few would have the ability to untangle a mess like he encountered at [client]. You can feel safe with Larry coming into your organization to make it better. Exceptional outside-in vision. He always has a trick he can pull out of bag for any challenge. I am always amazed at how he performs at our board meetings…doesn’t let go of issues until they are truly resolved or at least there is a common understanding. Beyond Point B led our management team through an important strategic evaluation process. With the help of Larry & Michelle, our management team was able to create a shared vision of our digital future. This critical building block enabled our organization to channel our efforts more strategically and helped provide essential focus. Beyond Point B took the time to get to know our organization prior to our training session. As a result, the combination of their experience and expertise with their newfound knowledge of our challenges and objectives made the session a valuable one. Combine this with a passion for their business and the results were terrific! Sponsoring the Beyond Point B Executive Leadership Seminar allowed us to provide a highly professional leadership and coaching seminar to Greater Alarm customers. These events help strengthen already established relationships, as well as help our clients ensure their long-term success. Larry seeks to fully understand before making commitments, he is constantly learning. He likes considering a diversity of opinions and is constantly tests ideas. Larry handles customer service extremely well. I was very impressed in the board meetings I attended. He is analytical, professional, caring, heartfelt in everything he does. Larry asks intense questions. Larry can build bridges over complexity like no one else. He is not afraid to put you through the paces. If you are up for it, it is worth it in the end.